Turn Your Research Paper or Thesis Into A Book. Self-Publish It! Recently, I stumbled over an old research paper I had written in university. The term paper (a short treatise on classical perceptions of melancholy as a disease of the “four temperaments”) had survived on a backup copy of my website, stowed away on a disused hard-drive. And surprisingly, as much as I had sweated over the paper back then, it now gave me great pleasure to read it. For this one research paper that survived, many others which I hadn’t uploaded to my webpage didn’t survive. They were wiped away with accidental deletions or computer crashes. And I thought to myself, why didn’t you publish your other term papers on your website as well? 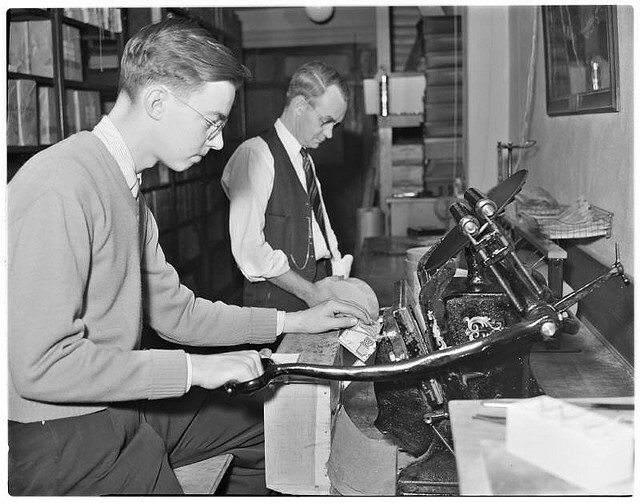 Back then, it wasn’t that that easy to self-publish digital or paperback books. Today it has become relatively easy to create an ebook from a research paper. If you’re taking a course and you’re writing a paper about a topic that you’re keenly interested in, what is your motivation, really? It’s a lot of work. Why are you doing it? Only to get a grade, to pass the term, or because you want to participate in a discussion, collect research and link it in interesting ways? Unfortunately there seems to be a common understanding among students that their term papers aren’t good enough for a wider audience. Of course, being a novice in a field should come with some modesty, but sometimes novices can make connections because they aren’t burdened yet with the knowledge of “what has been done”. Naturally, many research papers we write don’t even interest ourselves; we do them compulsively. But once in a while we find a topic we’re burning for with a fiery passion. Whether it’s a historical figure, a novel from the 19th century, the work of an early scientist etc. — we feel that a topic resonates with us, and we yearn to share our own ideas and connections. Since you’re already doing the work, from research to writing to editing to formatting, why not do the last bit, too, and publish it? Usually, after handing in a paper you’ll get it back with remarks and corrections. But what happens then? Why not integrate these suggestions, fix the errors and publish it? In short: why write for the drawer if you can write for the world? Surely, many academics don’t encourage students to publish their early thoughts, but that’s not because these thoughts aren’t worthwhile, but because academia is a fortress heavily guarded by gatekeepers. Academics usually publish their works in academic journals, which are often notoriously difficult to get into, especially if your opinion about a topic diverges from a widely accepted tradition or “school”. However, this is what often makes these journals so boring. There’s nothing new, no fresh insights unconstrained by the barriers of “prim and proper”. Don’t let this world of preconceived notions bully you into thinking that your own research papers couldn’t possibly contain anything worth reading. If you don’t take a stand for your own work, nobody will do it for you! Publish those research papers dearest to you and make them accessible to the whole world. Unfortunately, too many students today are only interested in passing the test, getting their grade as quickly as possible and then leave the world of research and writing behind them to get “a good job”. But what if your field of study is too important to you to just hurry through? Perhaps you’d like to keep thinking about these topics, keep researching, collecting and connecting the dots, beyond the obligatory. By self-publishing your term paper you can gain valuable insights into the publishing process. Even if no one will ever read what you published, you will have learned how to format and edit a manuscript and release it for digital publication. You will improve your text-processing skills beyond the mandatory “double-spacing, 12pt Times New Roman” or whatever the style-guide demands. You will think about creative solutions to formatting and presentation of ideas in general. Once acquired, nobody can take these skills from you. Perhaps you’ll use them one day to help publish a friend’s novel, work for an online magazine, or perhaps you’ll just keep honing your craft on your own and develop your own writing. Young people are often told that they should become responsible adults who “contribute to society”. All too often, this contribution is vague and distant. Why not start when you’re still studying? Maybe your research paper on Navigation-Related Structural Change In the Hippocampi of Taxi Drivers (this paper actually exists) will never gain mass-appeal or land you a book deal, but perhaps one day a person at the other end of the planet is looking for information about a very specific niche you just happened to write a paper about. Admittedly, many student papers aren’t very original, but perhaps you still managed to put two pieces together in a way that sparks new ideas in someone else’s mind. Your paper doesn’t have to be perfect, but by self-publishing it in book format, it might become a seed for other works. Maybe your modest student paper will not solve the Middle East conflict or cure cancer, but perhaps one day it will mean something to someone somewhere. Perhaps it won’t, but if you don’t make it available, we are never going to find out. Last but not least, there is always a chance that by taking your research paper and turning it into a book, someone will buy it. If one person buys it, finds it interesting and leaves a positive review, others might, too. You probably won’t get rich doing this, but many academic journals don’t have a huge readership, either. If you self-publish your paper and put it on the Amazon Kindle store for example, you could price it as low as $0.99 cents and make 35% royalty on each sale. Or you could use Smashwords to distribute your work for free across a number of retailers. All this process doesn’t cost anything (except your time and efforts). So what is there to lose? For more information about the actual publishing process, see also my short tutorial series How To Create Ebooks With Open Source Software.